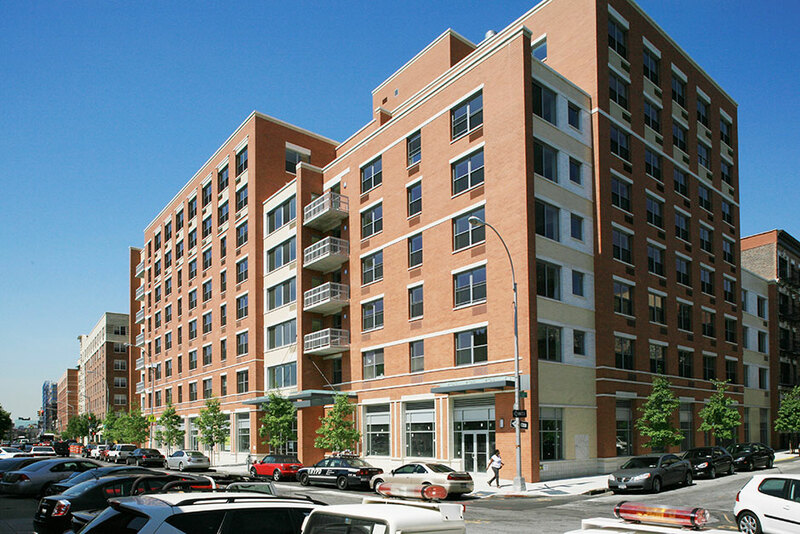 The Aurora is located at 837 Washington Avenue, at the intersection of East 159th Street, Washington and Third Avenues in the Melrose Commons neighborhood of the Bronx – just one block south of the transformative planned mixed-use development, Boricua Village. The eight-story, 91-unit condominium offers one-, two-, and three-bedroom residences. Features include a landscaped common courtyard, energy efficient and green design elements, private terraces on some apartments, a beautifully designed entrance lobby, and convenient retail on the ground floor. The Aurora was developed under New York City’s Cornerstone Program and was completed in 2008. Moving trucks are a daily occurrence at 837 Washington Avenue in the Bronx, also known as the Aurora Condominium. Showing that homeownership works in the Bronx.